February 7, 1974 –The Chicago Tribune reports that the city’s Planning Department has “turned thumbs down” [Chicago Tribune, February 7, 1974] on providing landmark status for the Manhattan Building at 431 South Dearborn Street and the Old Colony Building just to the north at 407 South Dearborn Street. This action comes despite the fact that the Chicago Commission on Historical and Architectural Landmarks is considering the buildings for landmark status. 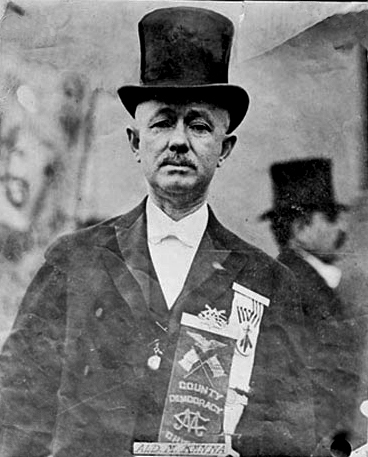 Lewis W. Hill, the city’s planning and development commissioner, says that “possibilities for redevelopment on the block outweigh the historical and architectural significance of the two buildings.” Hill said, however, that he does lean toward landmark status for the Fisher Building at 343 South Dearborn Street. Said to be the world’s first 16-story office building, the Manhattan Building was completed in 1891 and designed by William Le Baron Jenney. The Old Colony Building was completed in 1894 and designed by the firm of Holabird and Roche. The Fisher Building was completed two years later according to plans drawn by Burnham and Root with Charles Atwood as the lead designer. Happily, all three buildings are still with us today. On July 7, 1978 the Manhattan, the Old Colony and the Fisher buildings were all designated city landmarks. The Old Colony building is shown in the above photo in 1895 when it was brand new. February 7, 1956 – Morton Salt Company announces that its intention to build a new four-story office building in the block bounded by Wacker Drive, Washington and Randolph Streets and the Chicago River. The company expects to use the first floor and a portion of the second and lease the rest of the building. 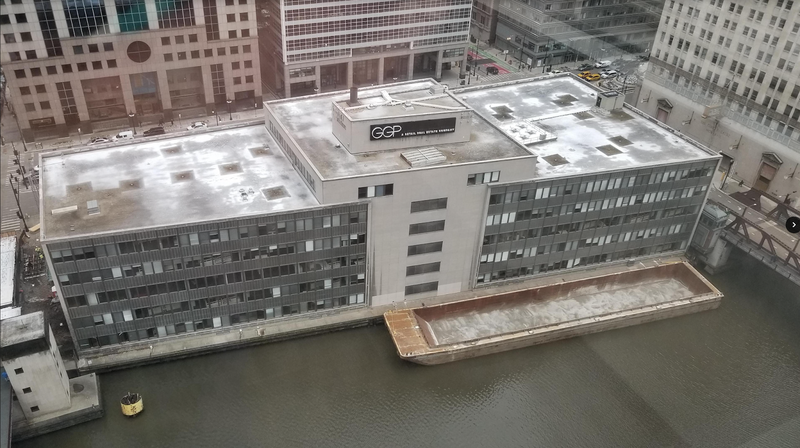 This will provide 55,000 square feet of office space, compared to the 37,000 square feet the company now occupies at two separate locations, 120 South LaSalle Street and the Merchandise Mart. The design will come from Graham, Anderson, Probst & White, Inc. and will consist of reinforced concrete construction with the main entrance and lobby of the building in the middle of the block on Wacker Drive. Morton Salt was founded in Chicago in 1848 and had its first offices at Clark and Washington Streets. 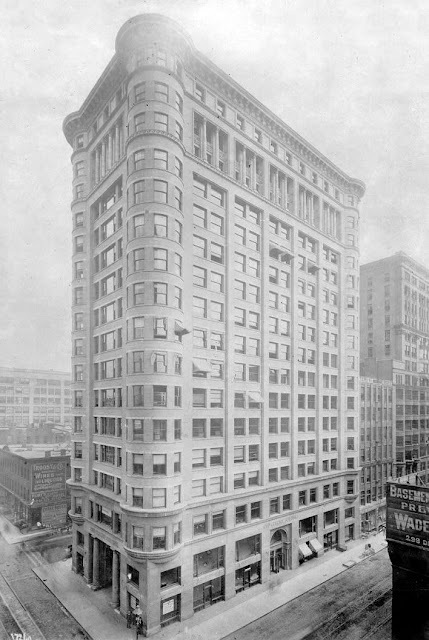 In 1896 the company erected its first real office building, a replica of the old Boston statehouse, that sat on the south side of the Chicago River just west of today’s Lake Shore Drive. The new headquarters building on the river would be finished in 1958 and is again in the news because it is no longer there. It was demolished in 2018 to make room for a glassy skyscraper designed by Goettsch Partners that will include a 45-foot wide Riverwalk passing beneath its western face. The building is shown above. 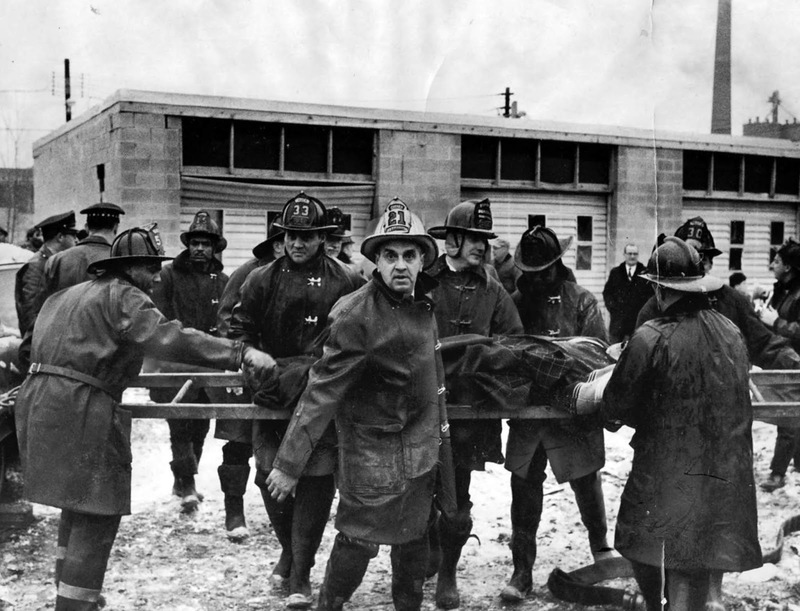 February 7, 1968 – Nine people are killed when a fire and explosion completely wrecks the offices of Mickelberry’s Food Procucts Company at 301 West Forty-Ninth Place. The conflagration apparently begins when a Harrigan Oil Company gasoline truck moving through the alley behind the plant scrapes a steel garbage container, knocking the shut-off valve from the truck’s discharge pipe and sending gasoline into the basement of the plant where the boiler ignites it. Fire fighters on the roof of the building are in the process of removing 15 to 20 employees of the plant from that location when a tremendous explosion rips the building, toppling ladders and fire fighters and sending those on the roof through the air. More than 30 of the 79 people who are injured are neighborhood kids who hear the sirens and come running to see the excitement. The 9-11 alarm fire brings to the scene 26 engines, five hook and ladder trucks, three snorkels, five rescue squads, ten ambulances, and seven hazardous chemical units. Tragically, four fire fighters from Truck 18 are killed – Firemen Edward Keifker, Chales Bottger, Thomas Collins, and Captain John J. Fisher, Sr.